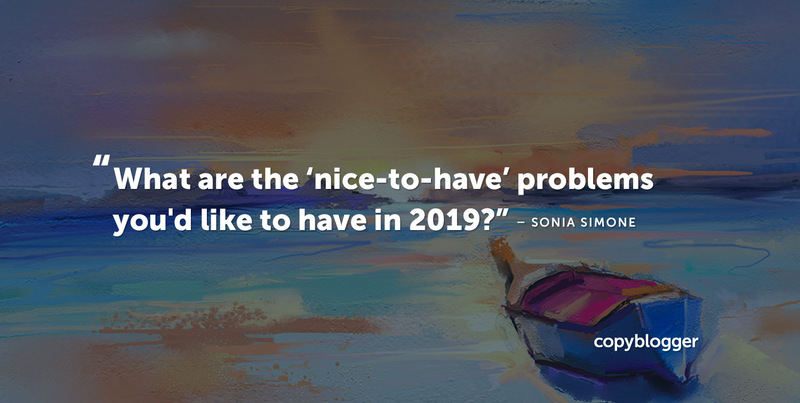 This week, our focus has been on reflection and inspiration — to get you moving toward what would make your life more rich and meaningful in the coming year. 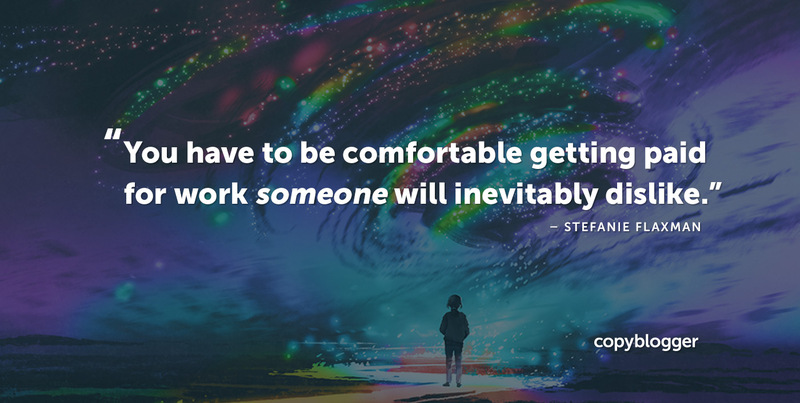 On Monday, Stefanie Flaxman looked at the root of that nasty enemy of creative professionals everywhere — impostor syndrome. She also shared two ways to temper it, so we can create and share our work. 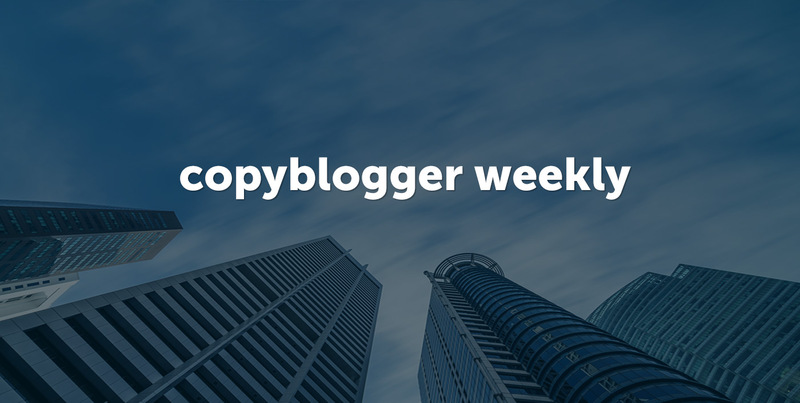 On Tuesday, Claire Emerson (who has been doing a great deal of behind-the-scenes badassery for us at Copyblogger these days) shared the five key moves she made to transition from an unfulfilling corporate job to self-employed freedom. And on Wednesday, I talked about three different frames you might use to look at your 2019 goals, to shoot for a new year that brings inspiring gifts to your life. We would love to hear about your outrageous goals and audacious intentions for the new year! Swing by the blog and let us know in a comment on any post this week. My new year’s resolution is to make my website successful that I started back in the month of May. Also to be successful in my life. I will work the heck out of my capability and will prove that I can be successful! Alot more are planned! My goal for 2019 is to become more focused and consistent. 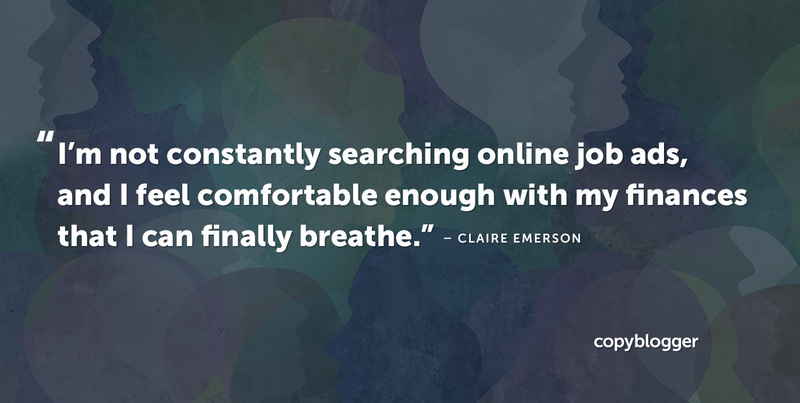 With so many distractions online, it’s been a challenge to stay on course building my website. I’ve decided to turn off all social media for certain times throughout my work day to help me get more out of my time online.